Deputy President Cyril Ramaphosa should be commended for talking tough on a crime that is spreading like wildfire: misrepresentation of academic qualifications. 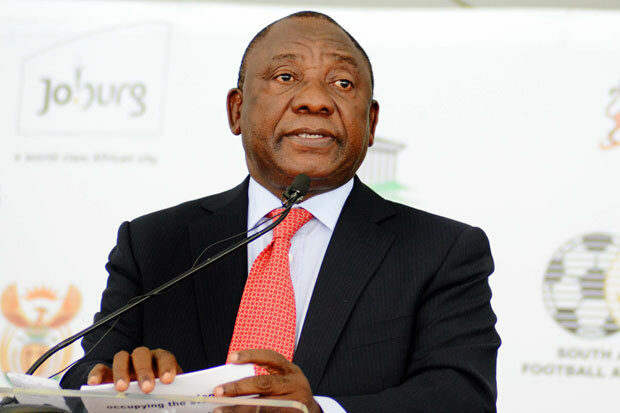 In a reply to a question in parliament from the United Democratic Movement’s Lennox Gaehler on the propensity of South Africans to fake their qualifications, Ramaphosa said the government intended to crack down on fakers and frauds and was considering harsh measures. “You either have a qualification or you don’t. Don’t misrepresent yourself; go and study. Let us not be fakers; let us not be fraudulent. We need to be a nation who promotes values of hard work and integrity. Such behaviour demeans those who want to do things properly,” Ramapahosa said, warning those who had a bogus qualifications on their CVs to remove them. Recent instances of prominent South Africans having lied about their qualifications have not only negatively impacted on the country’s image, they also sent out a message to young people that one can get away with lying about your qualifications. Last year, several people were caught out. These included ANC stalwart Pallo Jordan, who resigned from parliament after having admitted he lied about his academic qualifications. Last December, Ellen Tshabalala resigned as SABC chair shortly after parliament recommended she be fired for lying about her qualifications. Recently, the Passenger Rail Agency of South Africa (Prasa) head of engineering, Daniel Mthimkhulu, resigned after lying about his qualifications. While we support every move to clamp down on the practice of faking credentials, we call on government not to be selective in implementing tough action against culprits. Punitive measures should also target politically connected qualification fraudsters who continue earning undeserved huge pay cheques, while thousands of deserving and suitably qualified South Africans are battling to secure jobs.